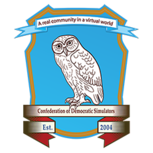 The CDS was established in 2004 and is the oldest estate in Second Life owned and democratically governed by its residents. Come be part of the tradition. We have fun too. For more information about our community, visit our portal, or Facebook. Note on pic: Young man relaxing on beach is not included in the land price or tier.